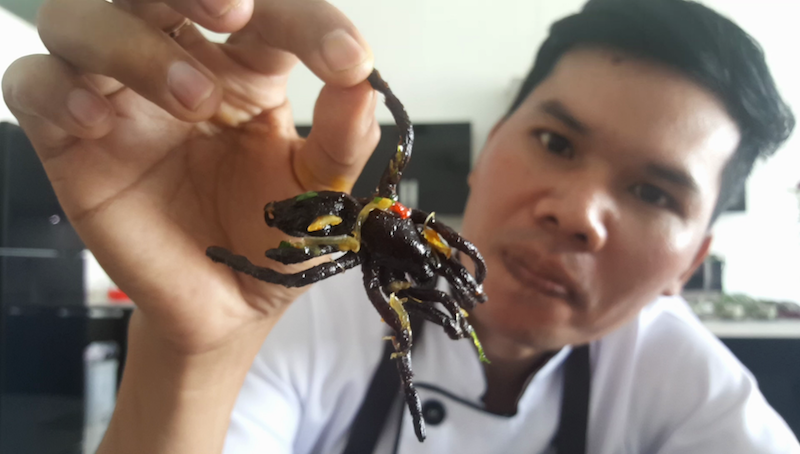 A bit of fun this week… Cooking with Spiders. Yes, we do sometimes eat them.. if you add the right ingredients they actually taste pretty good. Even Angelina Jolie loves em! I was asked to cook some for a recent cooking class so thought you might enjoy a simple video recipe.